Brought to life by the devious minds of the multi-instrumentalist and producer Alessio NeroArgento (already active with his main band NeroArgento besides being involved in many collaborations worldwide as a producer, arranger and musician) and vocalist Claudio Ravinale (known for being the voice of anger of the death metal institution Disarmonia Mundi and the horror metal act 5 Star Grave), "The Silverblack" is an industrial metal creature that quickly developed its own malicious sound, spitting out extremely catchy industrial metal tracks, mainly keyboard-driven and supported by a wide range of vocals (from goth deep voices to extremely irate death metal shouts) featuring both sharp and aggressive passages and more atmospheric and eerie moments. After releasing the self-titled debut album in 2014 divided into five monthly episodes of two songs each, the band quickly recorded 11 brand new tracks (produced as usual by NeroArgento at AExeron Studios) for the second album entitled "The Grand Turmoil" released in autumn 2015. "The Grand Turmoil" has been praised by both critics and fans worldwide for refining further the band's formula melting together industrial beats, rot'n'roll assaults, gothic parts and metal onslaughts, sharpening and enhancing to a higher degree the already unique band's venomous sound. After releasing a more experimental electro-driven EP entitled "The Industrial Chapters" under the moniker "The Silverblack DJ-Set" and the stand-alone single "Alone" the band finally completed the production of their third official fulllength album "Rain On A Wedding Day". 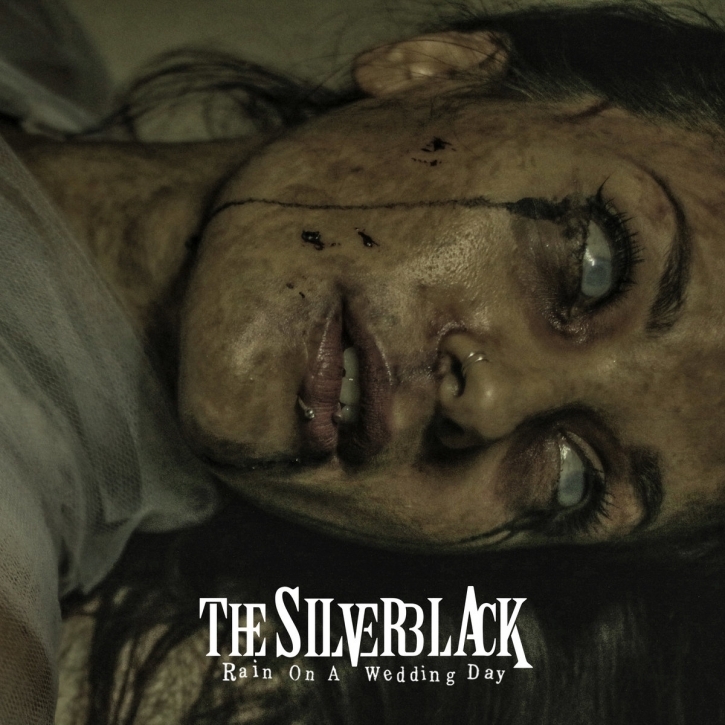 This new album represents "The Silverblack" at their darkest ever, combining the usual industrial metal approach with a more melancholic and goth rock-driven sound, shaping lonesome eerie soundscapes like never before. The vocal textures are as usual extremely multi-layered while the lyrical themes deal about negativity, decadence and the complete loss of hope, representing a faithful mirror of the times in which we are living.